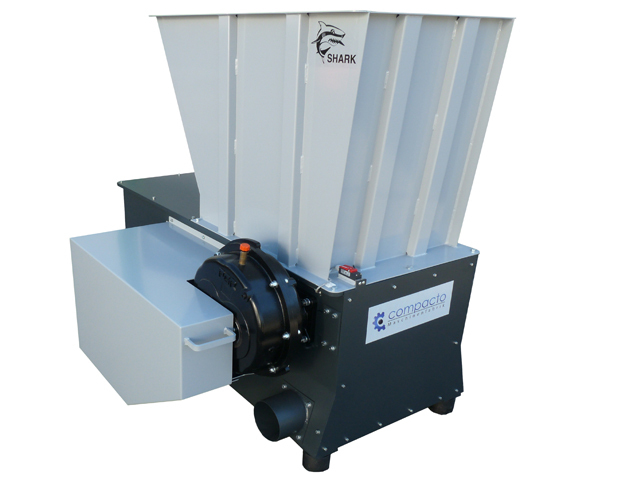 Our robust single-shaft shredders of the SHARK series shred materials such as wood, miscanthus, cardboard, paper, plastics, cables and much more. Longevity and the highest quality are our standards. For this reason compacto machines are manufactured in Germany. 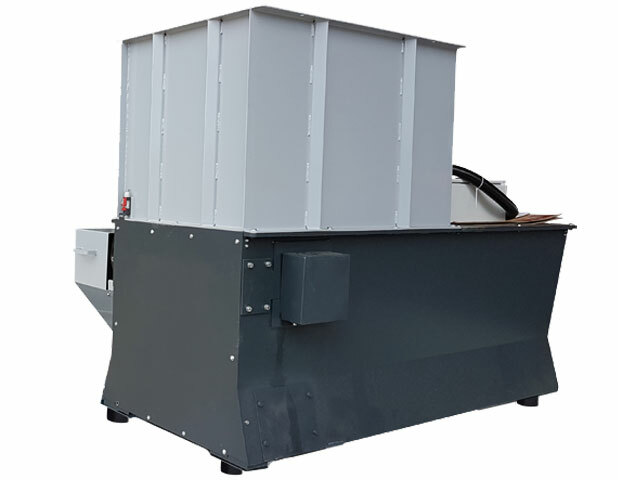 The single-shaft shredders are customised to the specific demand of our customer's materials, the desired throughput and the required granule size. 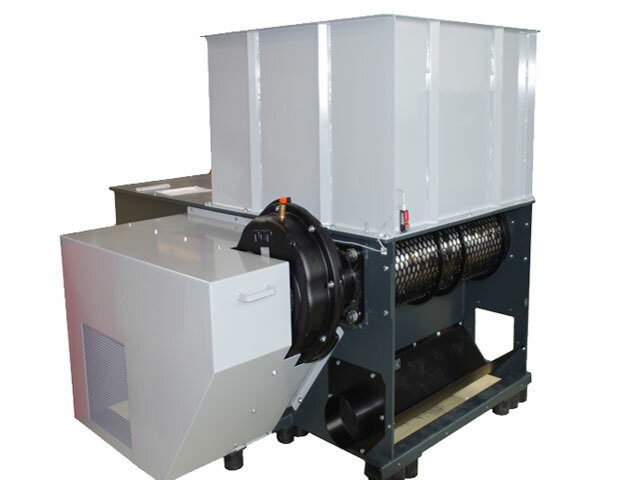 It can be selected between various machine widths, rotor diameters, drive variants, screen perforations and hopper sizes. The shredded material (must be smaller than 2cm) is suitable e.g. 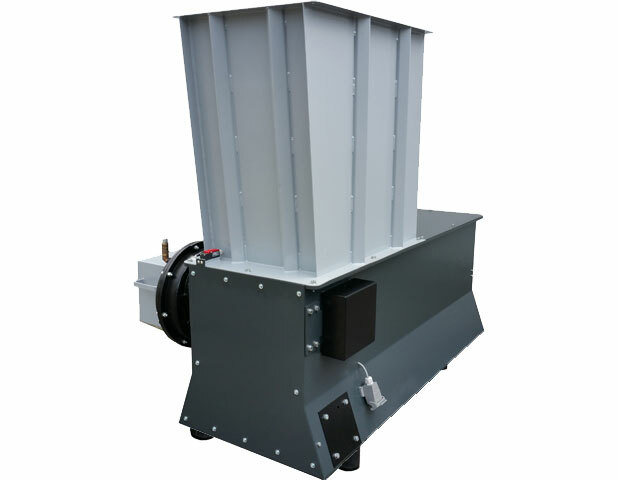 for further briquetting with our FOX briquetting presses. with a working widths of 53 cm an a Motor of 15 kW our SHARK 53 is ther perfect machine for companies with small amount of material. with a working width of 63 cm and a Motor with 18,5 kW our SHARK 63 is the standardsolution for the most woodworking companies. with a working width of 83 cm and a Motor from 22 to 30 kW our SHARK 83 is the solution for companies with medium amount of Material. with a working width of 103 cm and a Motor from 30 to 45 kW our SHARK 103 is the solution for companies with medium-large amounts of material. 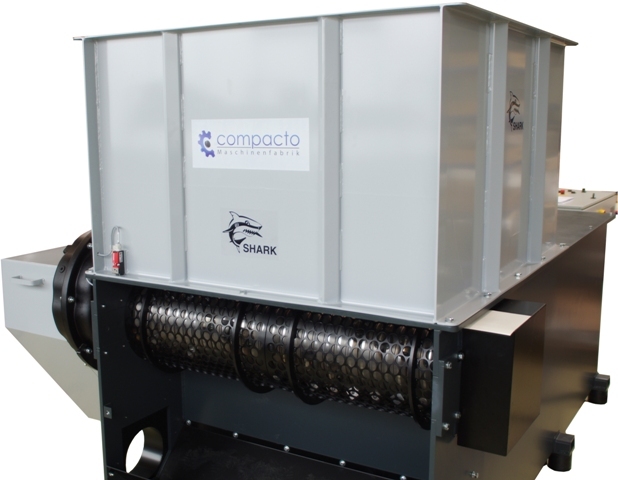 with a working width of 123 cm and a Motor from 30 to 55 kW our SHARK 123 is the solution for companies with large amount of material. 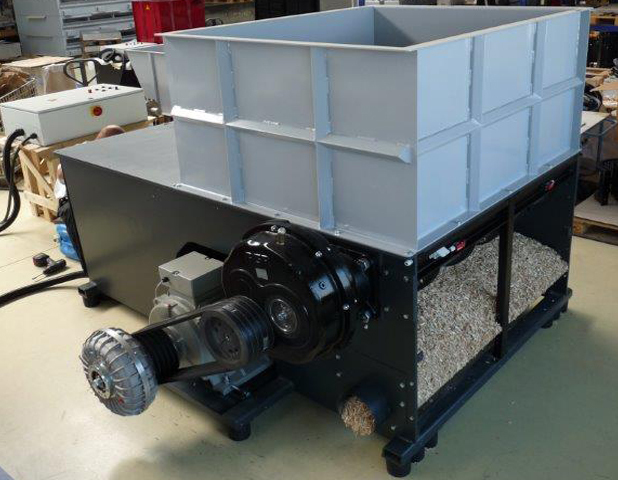 with a working width of 153 cm and a Motor from 37 to 75 kW our SHARK 153 is the solution for companies with very large amount of material.